Wildflowers issued on the 14 Dec 15 for the rate rise from 70c to $1.00 on the 4 Jan 16. 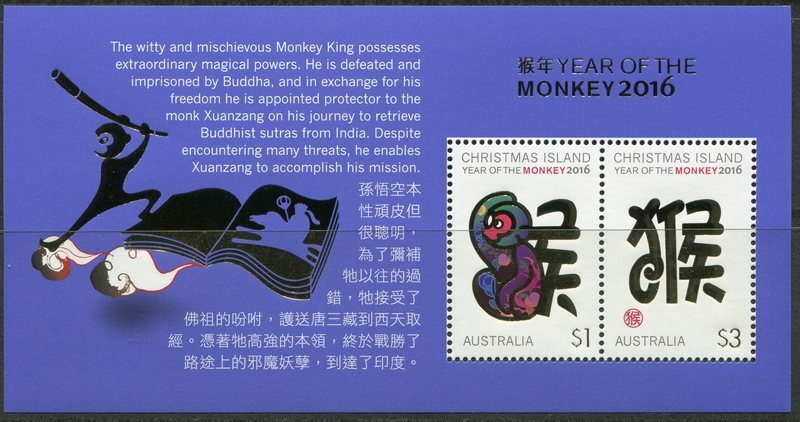 Christmas Island Lunar New Year - Year of the Monkey minisheet issued 3Feb16. 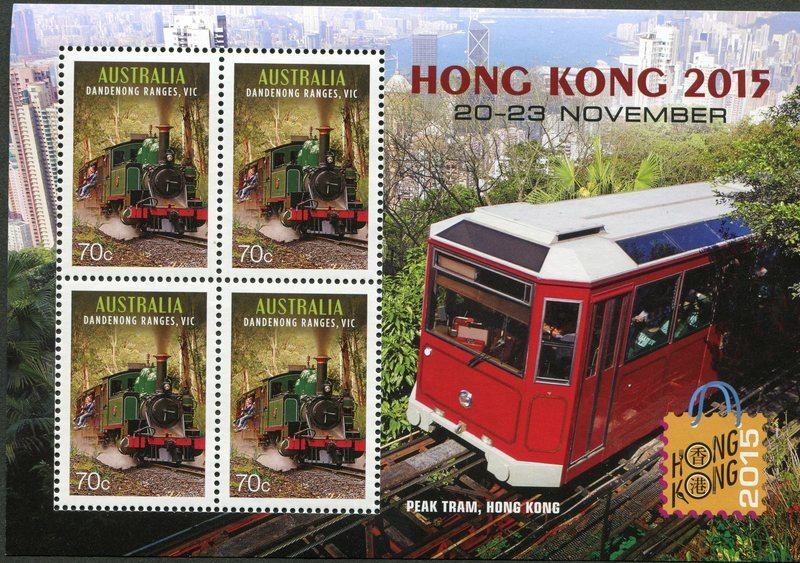 This I thought was pretty cool even if Australia Post is just fleecing collectors. The Lotus Sheetlet which includes a round $2 stamp, all self adhesive. 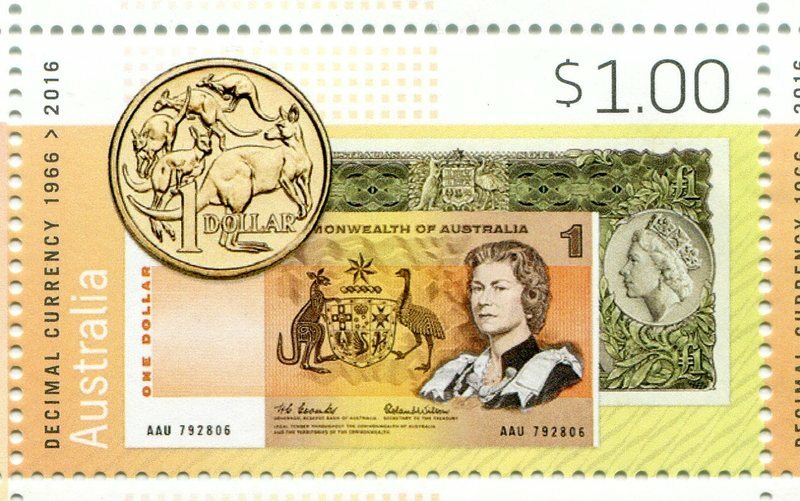 1966 - 2016 Decimal Currency Australia. The next two a special minisheets issued to commemorate expo's. I am only showing them as I managed to get them through my local post office. China International Collection Expo 25-28 September 2015. Hong Kong 2015 20-23 November. 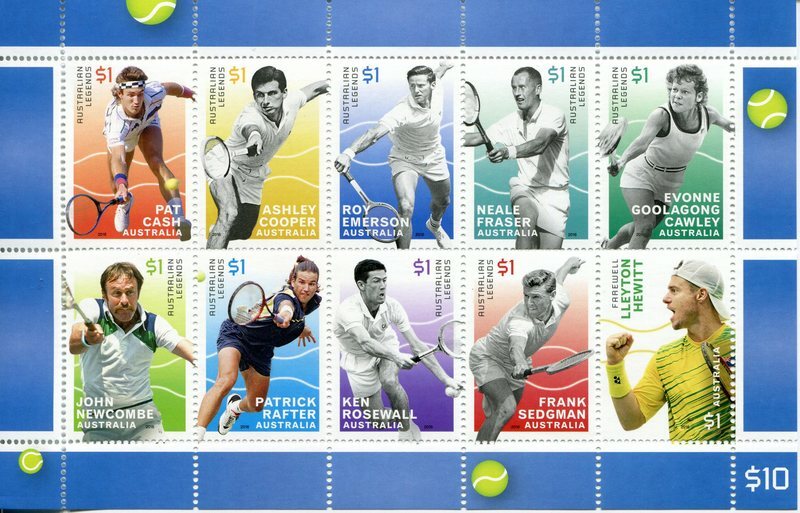 Australian Legends issued Jan 2016. 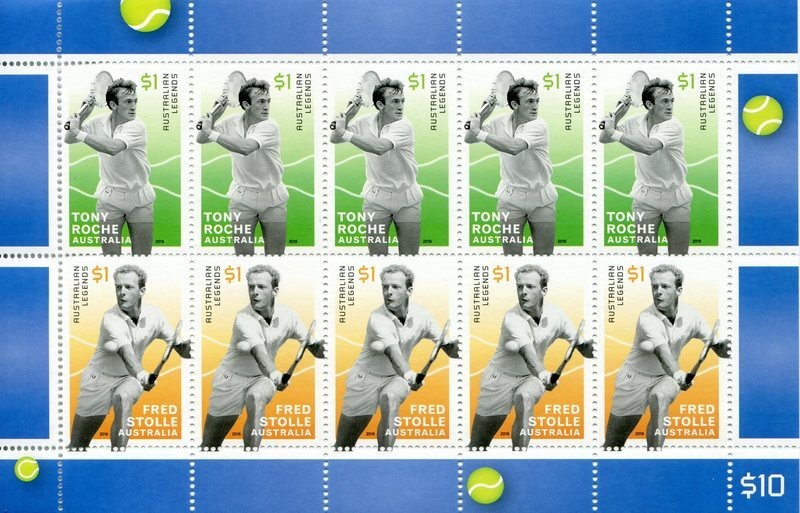 I am very surprised that Margaret Court wasn't included in this set! And a sheet just for these two. 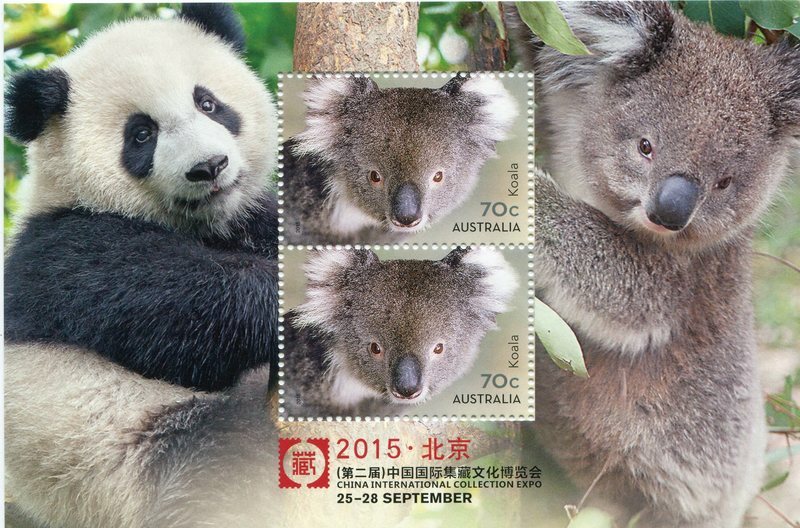 john6625, thanks for showing us the new Australian stamps. 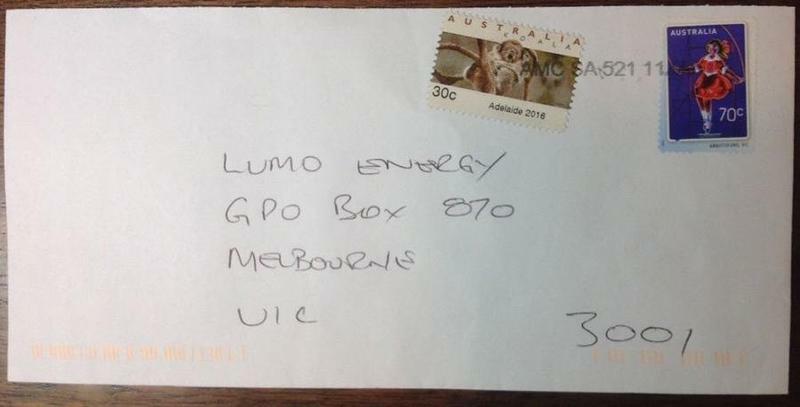 I'm not sure if too many here would be aware of a emergency printing from Adelaiade, South Australia on 6 Jan 16. A shortfall in 30c stamps just after the rate rise from Australia Post meant that the GPO in Adelaide rolled out thier old Counter Print Machine and reeled of a unknown quantity of 30c CPS as these shown below. Collectors got wind of these and hoovered up as much as they could. 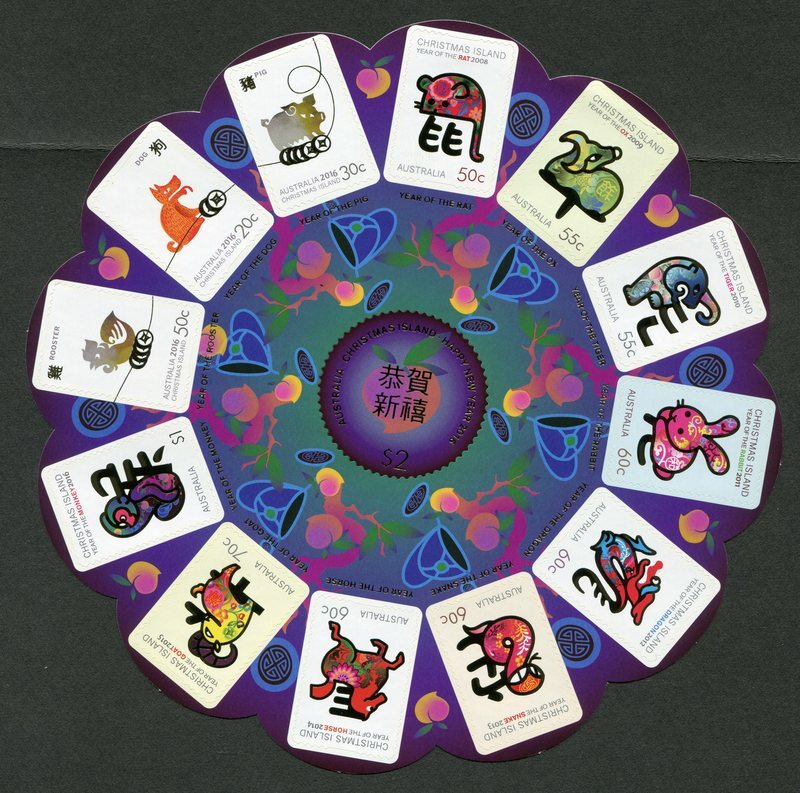 For the initial investment of just $1.80 for a set of six, they are now selling for up to $2000 and more on ebay. Postally used on commercial cover sell for around $1800+ for one. It will probably get catalogue status and if anyone wants the link to the whole story on these let me know. It is on another forum and I didn't think it wise to post the link without permission. Who said philately was boring. Yes, it's an interesting development which I've been following as well. While it's great publicity for philately, it's a real downer if you collect new issues and DIDN'T get one -- especially since the pricing is obviously still speculation-driven. It should be interesting to see if in the long run, this brings in MORE new issue collectors in Australia, or less. Very speculative at the moment, and as we know nearly all bubbles burst. The one thing that may be a real problem is if the post office creates more. I don't believe it will happen, but it only take one rogue employee! In any case I believe the only way to collect these is on commercial dated covers, as early as possible. This one sold for nearly $1700. Agreed. The used covers with proper time of use would definitely be premium items, and postal history as well! There is a train of thought that covers used early on in the peace are worth a premium. I don't agree. Some of these stamps were bought by non collectors who probably haven't seen the press about this issue and may take up to twelve months to use thier remaining holdings (if not longer). I guess it will be a case by case scenario. Another issue today 'Fair Dinkum Aussie Alphabet'. I suppose it's colourful and it may appeal to kids. I do quite like the V stamp! This is the latest offering from Australia Post. 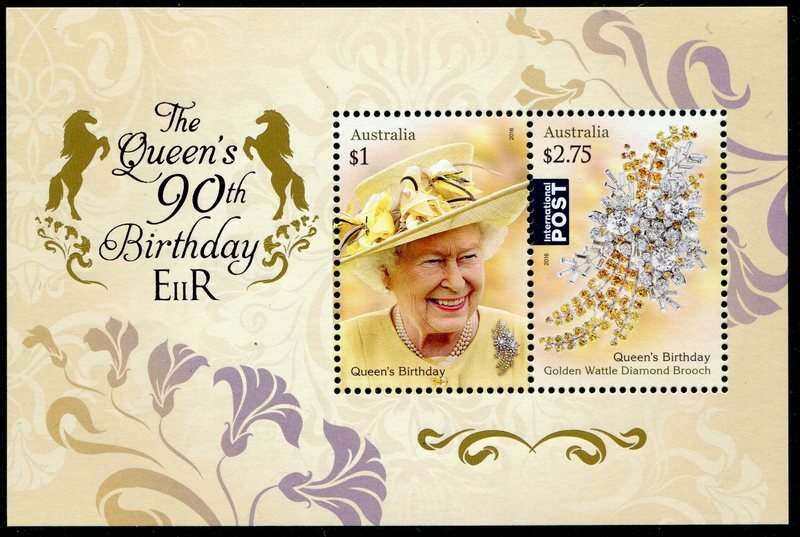 released on 15Mar2016 "Australian Bridges"
Lizzy's 90th birthday, issued 5 April 16. Typical Queen birthday issue IMO. Centenary of WW1:1916. I do like these issues.